Prizmah is a form of bio-stimulator that is safe and creates an immediate, long lasting volumetric effect with natural looking result. Prizmah promotes & accelerates the healing with improvement in symptoms, significant redution in pain. Prizmah also curbs inflammation by suppressing cytokine release, and further improve the regeneration process by promoting capillary angiogenesis and re-epitheliazation. 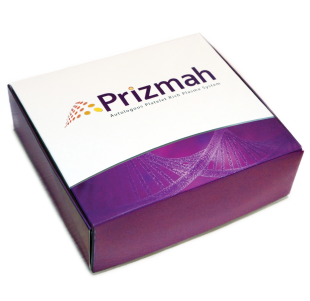 Prizmah is a proprietary medical device designed for the preparation of autologous platelet-rich plasma, manufactured under eGMP, EN ISO 13485 and ISO 9001 Quality System International Standards. The philosophy is to merge cutting edge technology with the body’s natural ability to accelerate the regeneration of soft tissues.